This adorable little one was just too cute for her newborn session. She loved to be swaddled and she even gave me some fantastic sleeping smiles that will melt your heart. Her Mom Jeannine, decided to book the Petite package which focuses on baby only! And we definitely did just that! Seriously how beautiful is this child? And her name "Phia" just perfect like her! When does one do a newborn shoot? The earlier the better, but definitely before your little one is 10 days old. After that they become more alert and typical, sleeping newborn styling becomes virtually impossible. I love those cute props and hats, but don’t have any? I have a wide selection of newborn props, baskets and blankets. All materials used are cleaned, washed and where possible sterilised before the next shoot. I do offer lifestyle newborn photography as well for those parents who want the more natural homely look than styled newborn photography with props. Can we be in the photo’s with our baby? 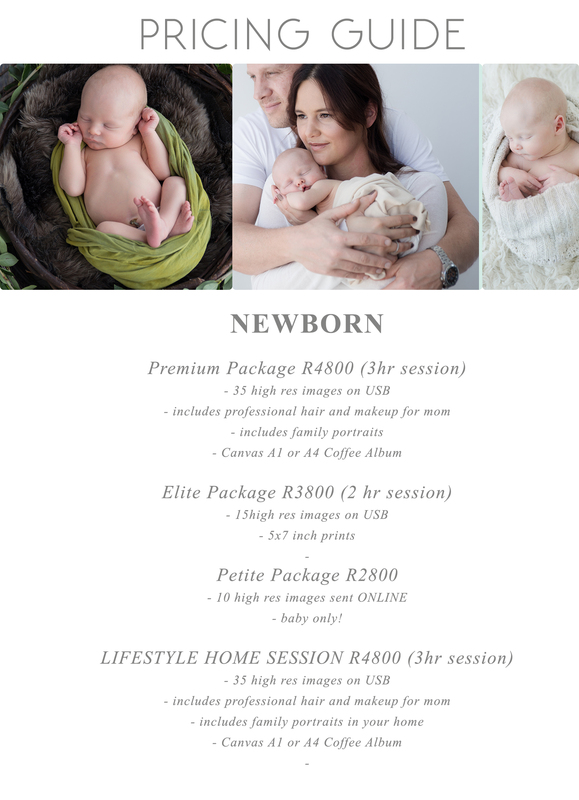 How do I prepare my baby for the newborn shoot? Newborn photography is not an exact science. It’s not unusual for it to be a combination of feeding, calming, cleaning (yes naked babies poop!) and photographing in between. That being said, it is a good idea to try and arrange the session so that it falls on baby’s nap time and to feed your little one when you arrive. Keeping the room where the shoot will be taking place nice and toasty is also important as babies get cold quickly – especially when we photograph them in their birthday suits.